What is the purpose of mobile and static storage workbenches? The purpose of these workbenches is to provide a place that will allow users to work on the top while storing tools and implements on the bottom. 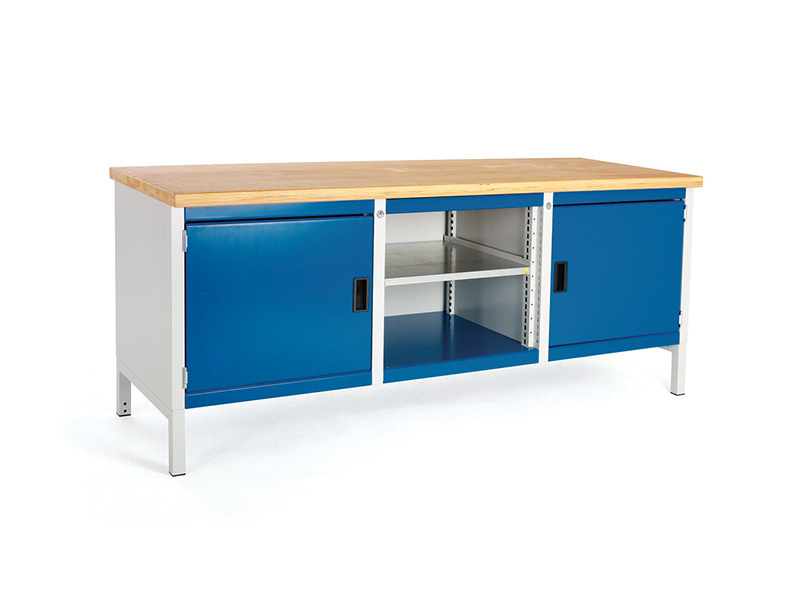 These workbenches are intended for use in nearly any environment and are able to provide an easy to use solution to storage and workspace problems. They are an excellent addition for any office, garage or shop and are able to provide the users with the best experience possible. 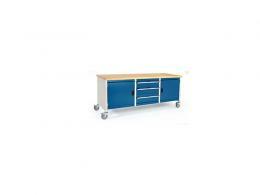 The mobile and static storage workbenches can be used anywhere there is a need for them. They are ideal for garages and shops, but can also be used in offices and even in some manufacturing environments. They are intended for light duty work, but can be used for some medium duty work. The mobile versions are able to support up to 300kg of weight while the static version are able to support up to 800kg of weight while they are being used for storage. The mobile one supports less because it must be able to be moved. 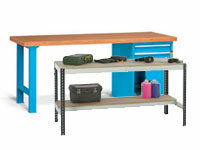 The most common people who need the mobile and static workbenches are people who have a shop or garage environment. This is because the mobile can be used to move around the garage and can go wherever it is needed to be. It is a great addition to any type of shop environment and works well even in crowded spaces due to its relatively small size. The static workbench sits stationary because it cannot be moved and does not have any castors or wheels. Both the mobile and static storage workbenches come with a one year warranty that covers the parts and the labour for the issues that may be present in the workbench. They are both made out of a galvanised steel material and have tops that are made out of a multiplex material to help provide a professional workspace. The static version comes with galvanised legs and can be placed in one location. 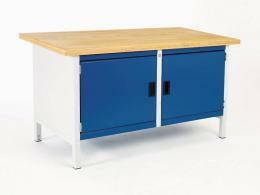 The mobile version workbenches come with galvanised steel legs and castors. The wheels are made out of tough material that allows them to glide easily through many different textures and flooring options. They are both available in a light grey powder coated paint.